Centrifugal fans suitable for many domestic general ventilation applications where higher system resistance pressures are encountered. The EB models incorporate a forward curved centrifugal impeller with single phase motor 230V-50Hz. IPX4 (1). Class II. Housing and impeller made in polypropylene. Suitable to operate with air temperature up to 40ﾺC. EB-100 / EB-250 S: Standard models. 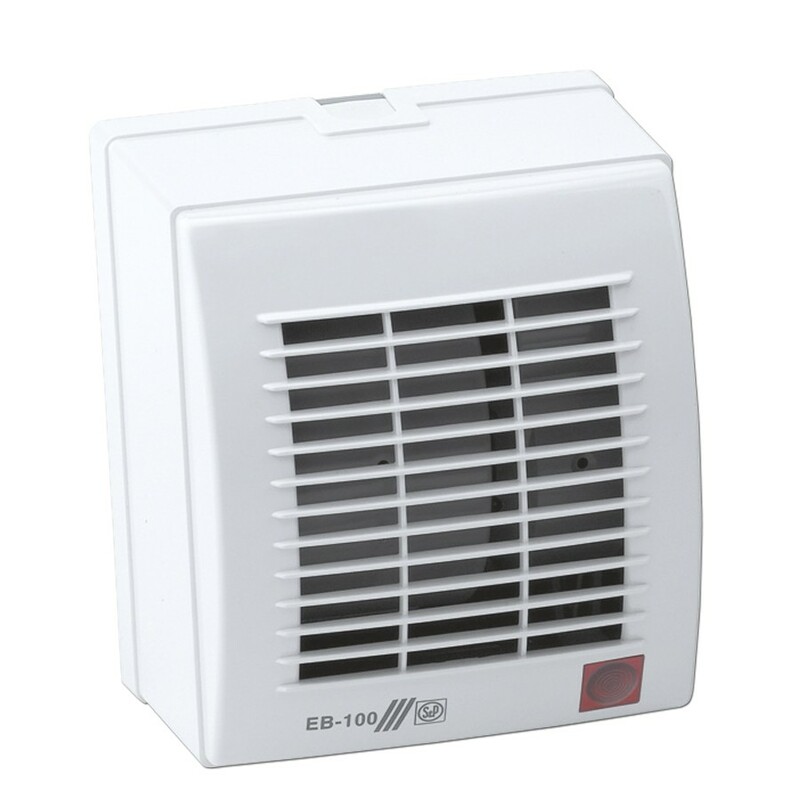 EB-100 / EB-250 T: Models with adjustable run-on-timer. 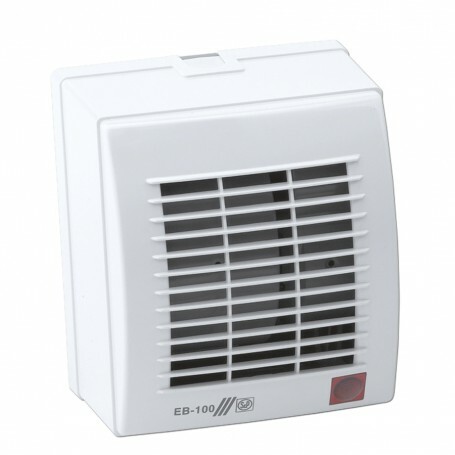 EB-100 / EB-250 HT: Models with internal humidistat and adjustable run-ontimer. 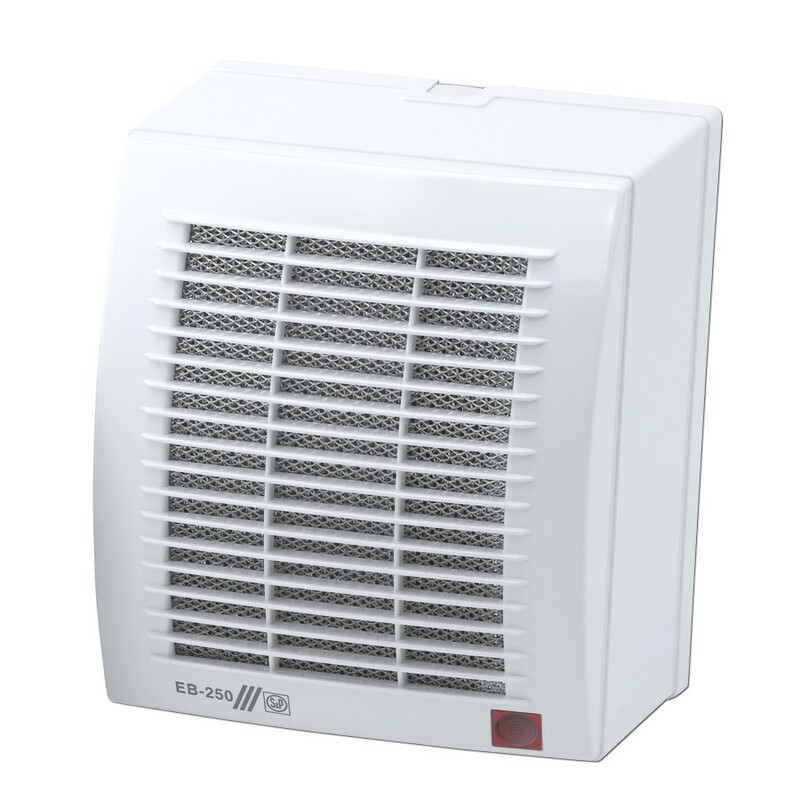 EB-100 / EB-250 are fitted with an automatic back draft shutter to prevent air entry and limit heat leakage when the extractor is not operating. To deliver high performance with a minimum noise level against high static pressure system resistance.